Doctor’s Best Creatine Powder uses Creapure®, the highest quality micronized creatine that is specifically designed to enhance biovoluminization. Creapure® is scientifically tested to provide the ready source of energy for the athlete on the go. Consume 20-25 grams for 4-5 days to help promote muscle saturation. Maintain creatine levels with 5-7 grams per day thereafter. Try adding Best Creatine to your favorite protein supplement, meal replacement or high-glycemic carbohydrate supplement. Combine with a sensible diet and regular physical activity. 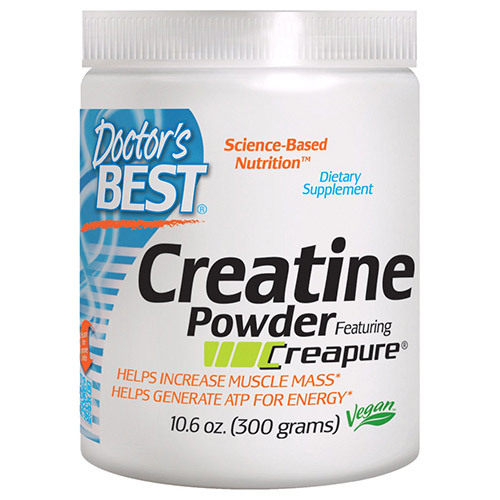 Below are reviews of Creatine Powder featuring Creapure - 300g by bodykind customers. If you have tried this product we'd love to hear what you think so please leave a review.